Get a thorough and practical introduction to Unity development for Android devices with no previous experience with game development needed. 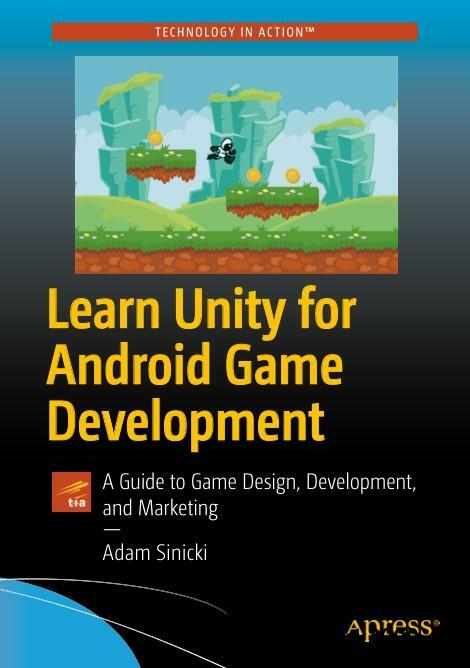 In this book, you'll go through every step from downloading and installing Unity and the Android SDK, to creating fully functional games. The bulk of Learn Unity for Android Game Development is a simple project to create a 2D platform game complete with touchscreen controls, physics, enemies, respawning, collectibles and more. The book closes with a brief introduction to creating 3D games, virtual reality games for the Gear VR, and other more advanced applications. It also provides some guidance on publishing and marketing, as well as thinking about game design and mechanics. Resources including sprites and scripts are provided in the code download.